Yesterday, i talked about how to Download McAfee Internet Security Free for 6 Months . Today its turn of another great Internet security suite. 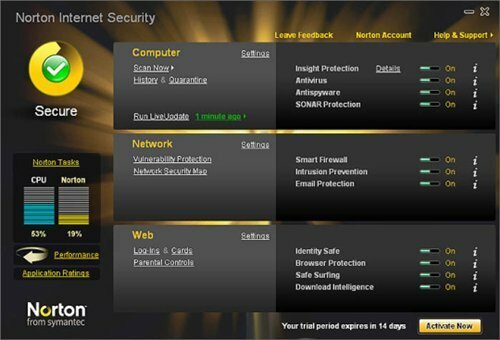 You can grab & Download free Norton Internet Security 2010 Genuine serial/key for 6 Months using a promo. I have already written a review of 2010 version of Norton antivirus few weeks back. Take a look if you wish to. 2. On the promo page, submit your email address in first field and choose any country in second field. Also tick the two boxes below the address field. After that click on big Yellow button. 3. You will receive an email containing a link. You need to click it to confirm your email. After this you will receive a second email containing the license key. 4. This key can be used for English version of Norton internet security. Download the setup file from sites like Softpedia.com and use the key to activate it. The Key is for 2009 version and hence you need to update it to 2010 version. The details of upgrade will be in the second mail. you are right mate. Its for 2009. but you can update it to 2010 version using the procedure in second email. it seems you are late in grabbing it. Norton has perhaps blocked the link now and its not working.